Our Daggett Shuler team had the treat of a return appearance by Coach Maurice Atwood, wrestling coach at West Forsyth High School. Coach Atwood’s accolades are way too long to be given proper justice in this short article. He at one time had a winning streak of 396 matches which is the longest in the history of any sport in North Carolina, and was the longest current winning streak of any team at any level in the United States. He also won nine of the last ten dual team state championships. The only gap in his record is one loss in his first year when he moved to a new high school (the reasons and details of that move are for another time and another place). Coach Atwood spoke to our group on winning, coaching, and love. The interesting part about his successes is there is no “secret”, no “magic”, and it really is not very complicated. Further, his lessons apply to all other sports, triathlon training, and to all aspects of life. Winning is a mindset. It is a mindset that takes a lot of work and a lot of repetition. Coach emphasized that if we are not working, someone else is . . . and he quickly added that he is not going to get out worked. He emphasized that on the “grunt level” is where winning really comes from. It is all about merit – you have to earn it. Coaching, as well as any form of leadership, requires model behavior. Others need something to follow. The one intangible is that they have to know you care, and they all know it when you do care. He emphasized that is part of coaching. A team is either getting better or getting worse. You never stay the same. He further emphasized that winning is more attitude than intellect. An attitude of continual improvement and commitment is tough to beat. The continual pursuit of excellence is what makes you be the best you can be. Lastly, it is obvious that Coach Atwood loves each and every individual that he coaches. He gives them respect, and he demands respect in return. This is a mutual accountability group that provides the foundation for the continuously improving team. And, while they have to know you have got their back, you’ve also got to hold them to a standard. Sometimes the love is tough, but there is always love. “It applies to all aspects of life,” instructed Coach Rimron. “The harder you work now, the greater the reward in the future. It’s just like making deposits in the bank.” This was one of the daily life lessons he gave his group of youngsters at daily practice. It was my privilege to serve as an assistant wrestling coach under Coach Pat Rimron for the first Summit Eagles wrestling team. As an accomplished athlete and experienced coach, Coach Rimron was new to this school and was starting a wrestling team with a group of new to-the-sport middle school young athletes. It was a bit like teaching a foreign language where no one else knew how to speak it. It also provided a fresh opportunity to instill values and life lessons, which Coach Rimron took advantage of daily. The themes of hard work, determination, perseverance, and always getting back up are clearly evident in the sport of wrestling. Coach Rimron is well attuned to connect those lessons to success in life. 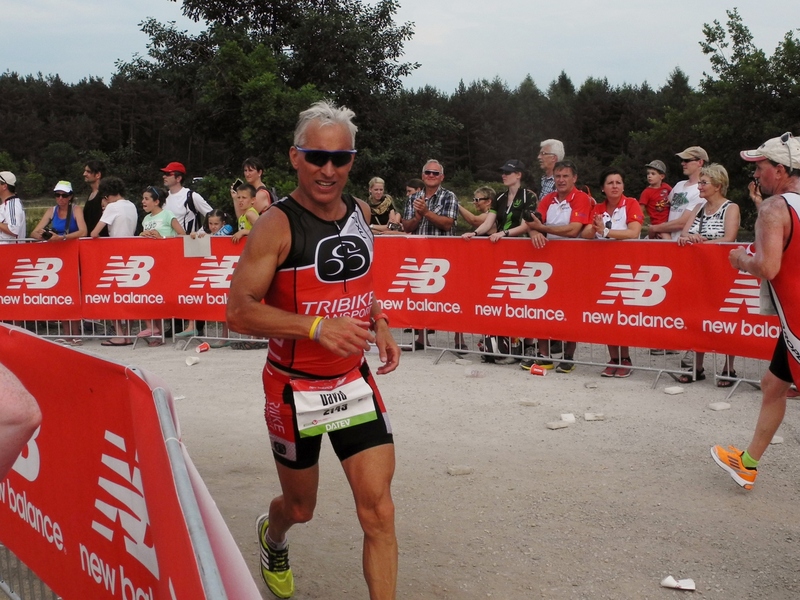 Of course, the same lessons and characteristics apply to the sport of triathlon and Ironman racing in particular. Hope and wishful thinking doesn’t get you to the finish line. To perform well or conquer the distance in the future you need to “make deposits” today in order to achieve those goals. Many of the young wrestlers need to be stronger next year if they are going to improve their results. But they can’t wait until next year, rather they need to start “making deposits” today, tomorrow, and every day. A simple start is to roll out of bed first thing every (every!) morning and do as many pushups as they can. Simply doing this everyday will ensure that next year physical strength is not a limiter. This repeats the same theme that we have discussed many times – consistent execution over time always produces better results in the future. The only question is whether we are willing to “make deposits” now and on a continual basis. For those who do, the realized satisfaction and fulfillment from the cumulative “account” is always worth it. In one short season it was exciting to see the joy and satisfaction these young wrestlers achieved. Moreover, they developed an understanding of the value of “making deposits” now, and every day, in order to have a larger accomplishment “account” in the future. “It’s tricky,” marathon legend Bill Rodgers repeated a number of times during his presentation to our track club at our annual dinner this past weekend. It was a pleasure to meet “Boston Billy,” as he was dubbed by the press after winning the Boston Marathon four times, and having him speak to our group. Bill described how very tricky and very challenging it is to be an elite runner. Combining mileage, distance, strength, speed along with the tricky and challenging aspects of being expected to perform well. On top of that, he added, it is also very tricky and challenging to hold a job, have a family, raise kids, and continue competing. Continuing with the same theme, Bill said that due to the tricky and challenging nature of competing it is important to remember that running is about friends. 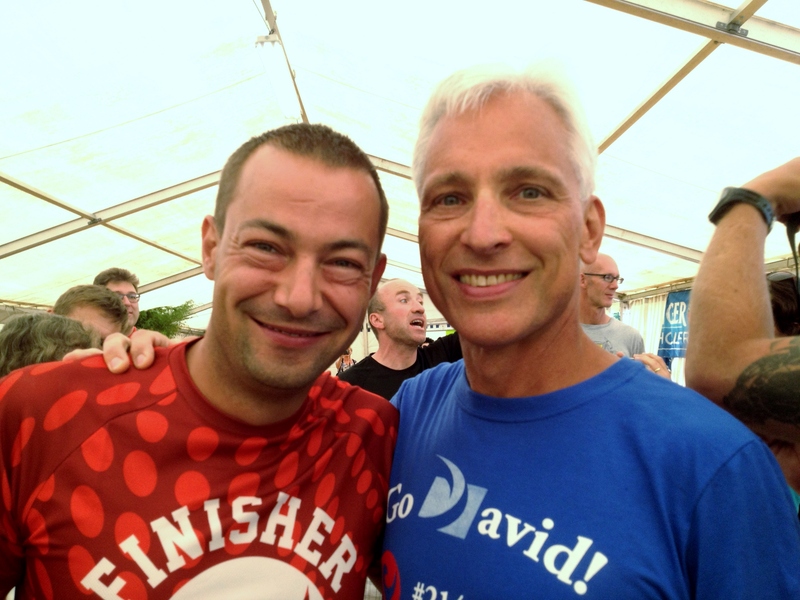 Reflecting back while listening it dawned on me that a large majority of my friends are runners (and swimmers and cyclists) and that the “friend thing,” as he described it, is key in sport and in life. Lastly, Bill implored us to remember that every time we are out there someone sees you. Just seeing you out running motivates them, encourages them, and perhaps influences them to be better too. 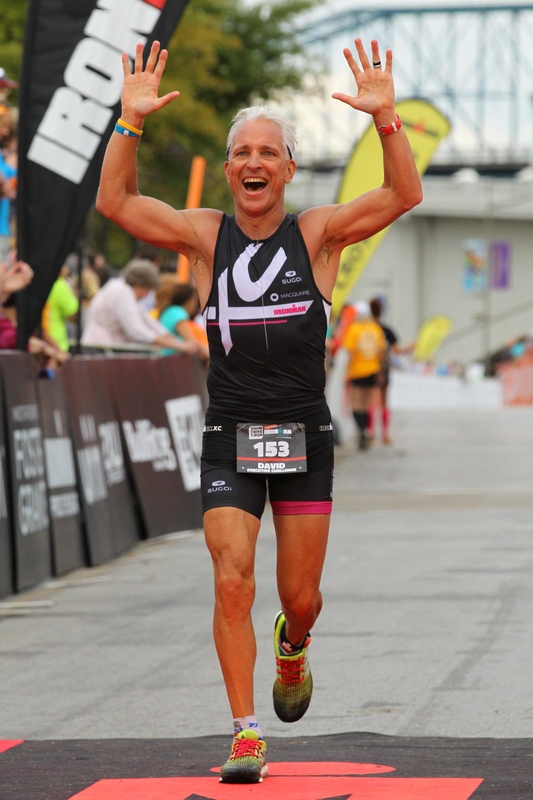 Then, he circled that back to the human emotions of a finish line which for many is the accomplishment of a lifetime. It may be “very tricky and very challenging” but if we focus on the basics of friendship, fitness, and finding the quest for yourself it is very rewarding! How did you start the New Year? How do you start every day? For more than 30 years now I have started each New Year’s morning with a daybreak ride on my mountain bike. Heading out to Salem Lake to catch the first sunrise of the year always gets the year started on an optimistic and positive note. This year was particularly special. For the first time I did not do my New Year’s ritual alone. Our 12‑year‑old son, Riley, joined me for what I will remember as a very special daybreak ride. I didn’t even have to wake him up. Riley was up and ready to roll, literally, in the 30 degree New Year’s morning. We sat on the little bluff on the west side of Salem Lake to start the year together with a prayer, meditation, goal setting, and fitness. Although it was cloudy and we did not have a brilliant sunrise, this daybreak ritual was very powerful and meaningful. Perhaps we should begin each daybreak, every day, all year with a similar ritual. This goes back to one of our most basic principles in Ironman for Life – consistent execution overtime always wins. In athletics, and in life, success isn’t determined by how fast or far you run today, rather it’s how many days you train to run fast and far. Likewise, big goals are important, but it is more important to pursue those goals every day, every day, every day! Do you want your life to be more rewarding and more fulfilling on an ongoing basis? Make it a daily ritual to begin each day just like we begin a new year, and then keep it going. It doesn’t have to be fancy and it’s not complicated, but it must be continual. Beginning each day, every day, with a prayer, meditation, goal setting, and fitness is a sure fire way to keep us moving forward on the road to success. The gyms and my swimming pool were very crowded this morning. Everyone is looking for the New Year, daybreak advantage. But one day, or a few, doesn’t do it. Statistically it will drop off seventy-five percent in the next couple of weeks and by February everything will be back to the same old, same old . . . will you? “Ouch!” I screamed as I lay on the pavement, “I can’t believe this just happened with my next Ironman race on the horizon.” As I was out on my weekly early morning ride with my Garmin reading 23.8 miles per hour when a pack of raccoons came out of a stand of trees directly in front of me with no time to react. These animals are not soft and cuddly but rather hard like large boulders. I hit them and was immediately on the ground. Later I learned that I suffered cracked ribs and a separated shoulder. Long story short, when folks told me that my upcoming Ironman™ would be “impossible” I thought they said “inevitable!” Age-weighted, I ended up having one of my best races ever, including first out of the water, on the podium, and qualifying for the eighth time to complete in the Hawaii Ironman™ World Triathlon Championships. Perhaps there are some lessons to be learned. First, a dear friend who is a long time professional cyclist immediately called me with encouragement and simply said “don’t gain weight” . . . “you will be just fine with your incredible base of fitness.” During my recovery period I actually lost 5 pounds so that I could resume training leaner than I have been since high school. Lean is faster. Although the first few weeks with the injuries were beyond painful, including having to sleep sitting up in a chair since just my body weight was too much for the ribs, it actually did give me a break from hard training and perhaps some well needed physical rest. We all tend to over train, and that particularly exposes itself heading into big races. We all know people who get sick, injured, or stale right before a big race. The lesson is that we all over train at times and we need to know when we should rest. Further, and perhaps we’ll explore this further in a future article, perhaps we need to ask ourselves where we over train in other aspects of our lives. The expectations of me were not high. Accordingly, it was one of the few times that I felt very relaxed with no pressure going into an event. Of course, most of the time pressure is self-generated and if we can let ourselves off the hook we are then free to explore and extend our capabilities. So, it helps to take a “chill pill” and relax. When we take the pressure off ourselves we may be surprised as what we are fully capable of becoming. As I recovered from the injuries I had a renewed psychological freshness. I was eager and excited to train. In fact, I was thankful and grateful for the opportunities that my fitness provided. Come race day, I was psychologically like a tiger ready to get out of a cage instead of being weary from month after month of hard physical labor. My FOTW, First Out of The Water, award was quite a surprise. Reflecting back, my focus during the swim was much more intense than it had ever been before. I was completely focused and had my mind in the game for every second of the 54 minute 15 second swim including each and every single stroke along the way. Intense focus helps us perform better. Being a positive example is important to me. My kids, family, friends, and coworkers were all watching to see how I would respond to my setback. I responded the only way I know how — always move forward and never, never give up. As long as you don’t allow your heart and soul to be defeated you will always come out a winner. There is an internal gratification that comes from overcoming adversity. After the strong swim, the day continued to crescendo as the miles went by. Confidence continued to build and there was the realization that it would be a successful day. When adversity hits, there are no hills . . . only climbers. Always be a climber! Many thanks for all the encouragement and support. Why do you run? Of course the answers include fitness and competition, but why do you really run? We run for our mental and psychological health. Perhaps we all run to escape . . . we run to freedom! Our track club had the pleasure of hosting Uta Pippig. Uta is a bright and impressive lady who is extremely friendly. 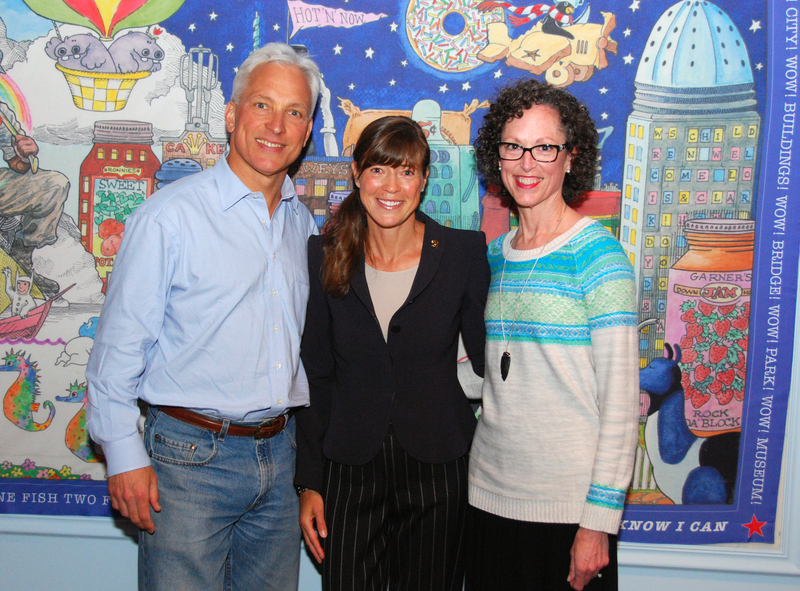 Her running resume includes the Olympics and multiple Boston Marathon victories. She has had world-class success at 5,000 meters, 10,000 meters, the half-marathon, and the marathon. Further, she is on the Board of Advisors of the MIT AgeLab. However, the focus of her presentation to our track club was on “Running to Freedom.” Being raised in the former Communist East Germany Uta literally ran for freedom. She now uses her experiences as a metaphor in incorporating inspiration, fitness, and life lessons to promote individual wellbeing and longevity. Her message is very consistent with my experience running. Running opens up my creativity and allows me to think, plan and strategize. It makes each day better and more productive. This helps make me a better professional, father, and spouse. Running is also a stress relief. A daily run, no matter how short or long, always tends to let a little pressure out of the steam valve to make each day more positive and better for it. It is my own personal therapy session . . . and it is free! Lastly, as Uta reminded us, when we are running we are all children. We are happy, hopeful, filled with joy, and run to freedom. Remember when we all enjoyed just being free…we can experience that every day with our daily run. Last week I was a guest speaker at a Spotlight Honors Program at a local middle school with the theme being “Respect.” Particularly during this political season we can learn a lot of lessons on respect from these middle school students. It was encouraging to see this school’s focus on character traits, with respect being an overarching trait that includes teamwork, diligence, perseverance, and success. This sounds pretty similar to our athletic pursuits, doesn’t it? This is why we need to constantly focus and use the lessons we learn from competition and training. Certainly respect is a broad topic so my presentation focused on three points. First, you have to have self-respect. You have to realize that you are the only you and that you are significant in this world! In order to respect yourself you have to pursue a life of excellence. Excellence is pursued in the areas of family, faith, fitness, and profession. When you are excellent you lead by example in all you do. If you Dream Big and always pursue excellence your resulting self esteem will give you self-respect. An important lesson in life is that you have to give to get. This certainly applies to respect. Leaders give respect. Don’t make excuses that you don’t have respect, give it first! We have to care about other people and appreciate them. Of course, this is the timeless lesson of the Golden Rule. I keep a ruler in the top drawer of my desk that I was given in second grade Sunday school. It is imprinted “The Golden Rule” with the “Do unto others . . .” verse printed on it. I reflect on the Golden Rule every time I open my top drawer as a reminder that you have to give to get. Lastly, I implored the young people to make the world better! We desperately need our young people to lead and cultivate a new generation that garners and values respect. I shared a story from an elementary presentation I made when a young lady came up and asked me if I was President Obama. With a little smile, I asked her why she would think I was President Obama. She replied that I am wearing a blue suit, a tie, and have gray hair. She sees a world that doesn’t have differences between people – a world of respect! Never give up on making the world a better place. We concluded with everyone standing, students and parents, and pledging to dream big and earn self-respect, no excuses – you have to give to get, and make the world a better place – never give up because individually and collectively we can make a difference! I am excited that our upcoming generation will, like a rock that makes ripples in a pond, make ripple after ripple after ripple and make our world a better place. Do you remember your first triathlon? Or, perhaps are you contemplating venturing into the sport? For non‑swimmers the swim, and particularly the start, presents the most challenging and sometimes terrifying aspect of our sport. Conquering the swim is a question that is frequently asked. So, let’s take a look at the swim and how we manage it so that we start our triathlons in a positive direction. First, are the swimming basics. Have an experienced swimmer or coach help you with the basics of stroke mechanics. Swimming is by far the most technique intensive of the three disciplines, so if you are not an experienced swimmer the investment in a bit of training, coaching, or lessons is very valuable. 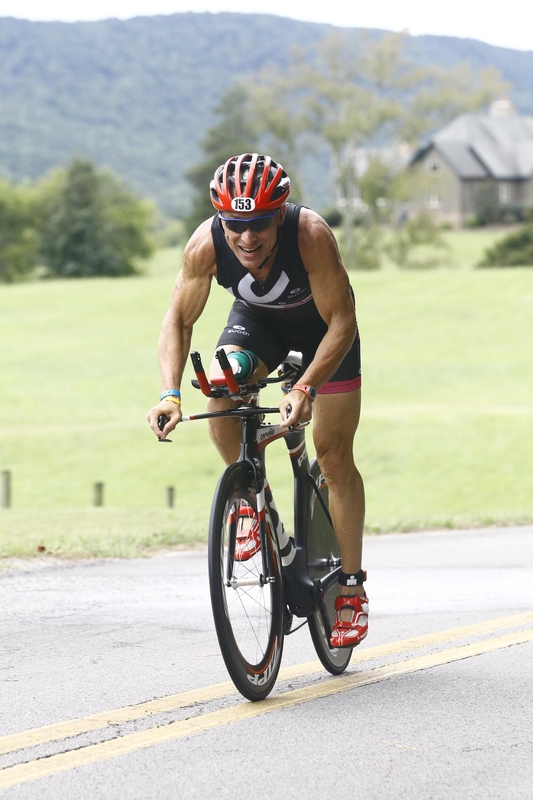 As you progress, you will actually find that the energy expenditure in this, the shortest leg of a triathlon, should not be an impediment to your day. 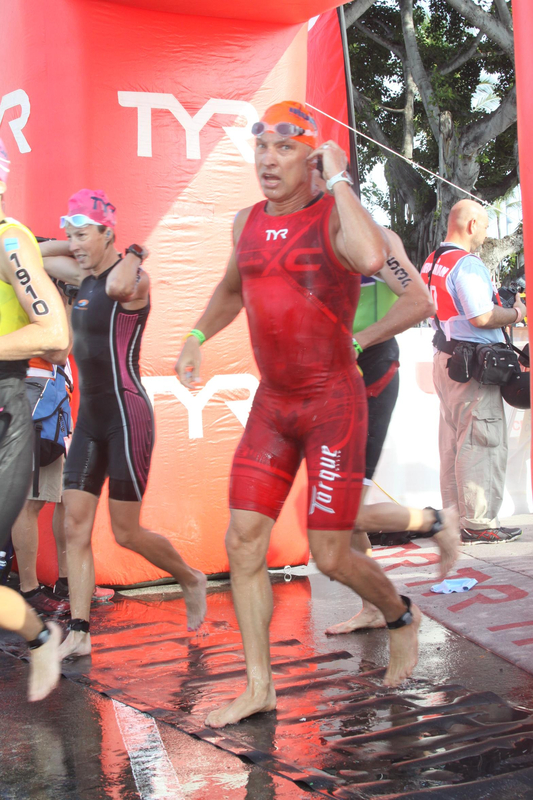 Once you have the swim basics and swim fitness reasonably tackled, it is time to start learning how to prepare for a “triathlon swim.” Triathlon swims, particularly in open water, are much different than swimming in a pool with lane ropes. There is the hitting and bumping of the mass/group start, sighting, accelerations at turns, and overcoming the initial anxiety and fears of the day. Like everything else, each of these can be prepared for and practiced so that you are ready to go on race day. Incorporate into your swim training sessions that mimic race day. So, for example, swim with a buddy and practice bumping and squeezing each other into the lane rope. This may sound silly, but it will have you ready for race day. Another skill to learn is sighting. It is helpful to practice raising your head and identifying various objects on the pool deck and pool facilities. You can actually make a game of this that makes your swim training more fun. Another very useful technique to learn in preparing for the triathlon swim is to accelerate your pace and then get right back into your rhythm. So, for example, at various times during your workout you can swim 50 or 100 meters as fast as you can, then, instead of resting at the wall as is typical with interval training, keep swimming and settle back to your normal pace. Doing five or ten of these during each session will really be an invaluable investment come race day. Perhaps I go a bit overboard, but once I get in the water I do not stop until the end of my workout. Even in interval sessions, I drop back to a slow pace and keep swimming in between the hard efforts. This really mimics the intense swim start and you’ll be amazed at how much this will help you on race day. Next, you have to calm the anxiety and nerves. Sure, we all get the butterflies in the stomach on the starting line, and hopefully we always will! However, these butterflies should be motivators and not limiters. In order to calm the pre‑race nerves it is very important to study the course very well so that know exactly what to expect. Visualize your swim, going over it in your mind over and over. I am a big believer in enough of a warm up to get your heart rate up and break just a touch of a sweat. That can be done actually swimming, or even just running in place for a few minutes before you head to the swim start. That really gets you ready for the gun! Another trick that I have used to conquer the anxiety and perhaps adrenaline overdose is a couple of things I do prior to public speaking to take the edge off the anxiety. If you bite the tip of your tongue just enough that it hurts (don’t do any damage!) it tends to let a little steam out of the anxiety valve. If you are not wearing a wetsuit, the same thing can be done by pinching the skin on the back of your thigh – it hurts! Call it weird or crazy, but it works! 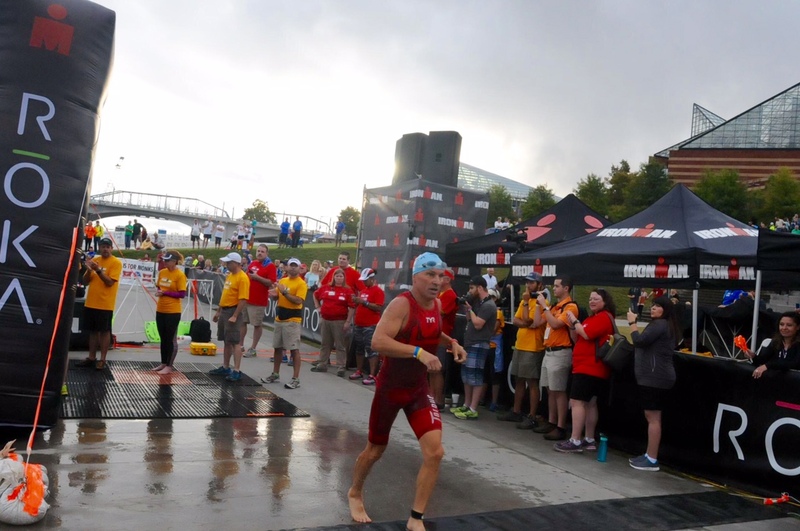 With proper swim training and practice, proper nutrition, a brief warm up, and a technique to calm your anxiety you will then be ready and have confidence to conquer the swim. What was your best run ever? What memories do you have from that experience? Do you use those memories as a motivator for future performance? 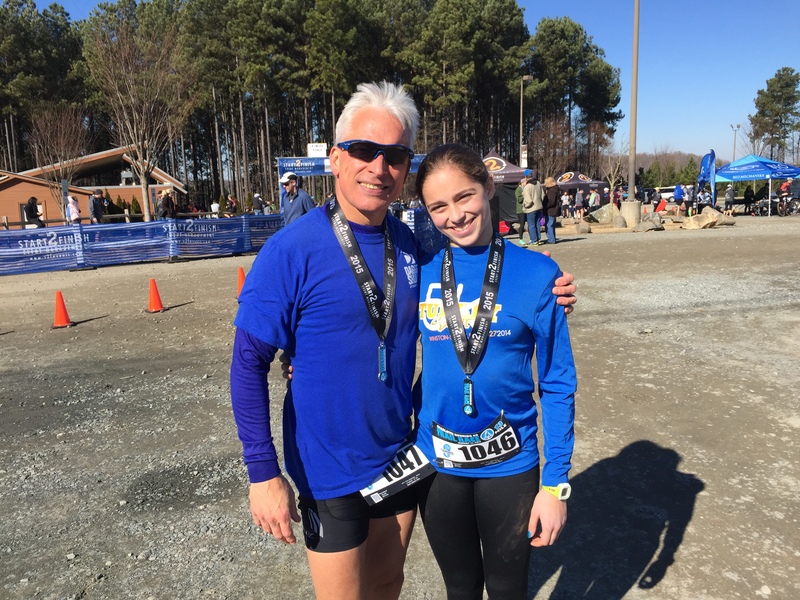 Last weekend I experienced my “best run ever.” Our 15‑year-old daughter set a goal to run a half marathon this year. The only problem is that we had to fit it in between the end dance season that ended with the winter dance concert, and the beginning of practice for the spring musical Big River. That only left one weekend. So, the half marathon we found was a trail half marathon at the U.S. National Whitewater Center outside of Charlotte, North Carolina. We were both in reasonably good running shape coming out of the fall. Annecy ran fall cross country and winter track. 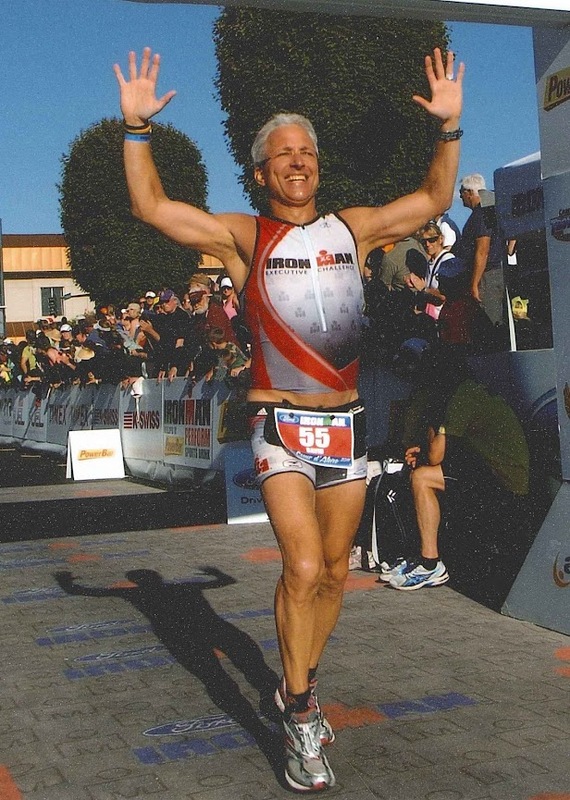 I recently fished my 24th Ironman and continue to maintain a fitness lifestyle. Once we decided on this race, we did a long trail run of 90 minutes or longer each of the past four weekends. Our trail runs included Salem Lake, Pilot Mountain, and Tanglewood Park. In hindsight we sure are glad that we practiced on some varying trails. We were both very excited come race day. 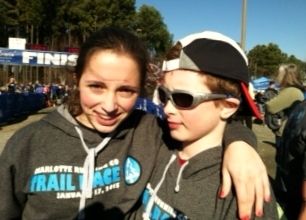 The two younger kids ran the 4 mile trail race and Annecy and I were ready for the half marathon. It is very difficult to describe in words just how challenging this course was. Ninety percent of the course was on single track trails that were constantly up, down, muddy, never straight, and over rocks, roots, leaves, and other obstacles. I believe it is the most difficult course I have ever run in training or in a race. The murderous conditions made the finish line reward even sweeter. Annecy and I ran together the entire course and enjoyed every moment. The greater the challenge it seemed the greater the smiles. As a bonus she even won her age group! One of the great rewards of a healthy, fitness lifestyle is the ability to enjoy and succeed in a difficult challenge. The fruits of our labor can only be enjoyed through hard work, discipline, and ongoing perseverance for a healthy fitness life style. Let’s reflect back – did we pursue 2014 with purpose? What do we want to accomplish 2015? We need to set our inner compass for the direction we want to go. Moving forward with purpose helps us to avoid wasted time and effort. Intentionality is one of the ingredients to help us succeed in any of our worthy pursuits. Without intentionality we tend to pursue life in a bit of a haphazard manner. Accordingly, we need to intentionally set a plan or destination so that we don’t just get overly busy with activities that allow us to forget and stray from the path of accomplishment. Just like in training for an event, we need a plan and a direction so that we do not just wander around. Unfortunately, many people go through life akin to aimless wandering. 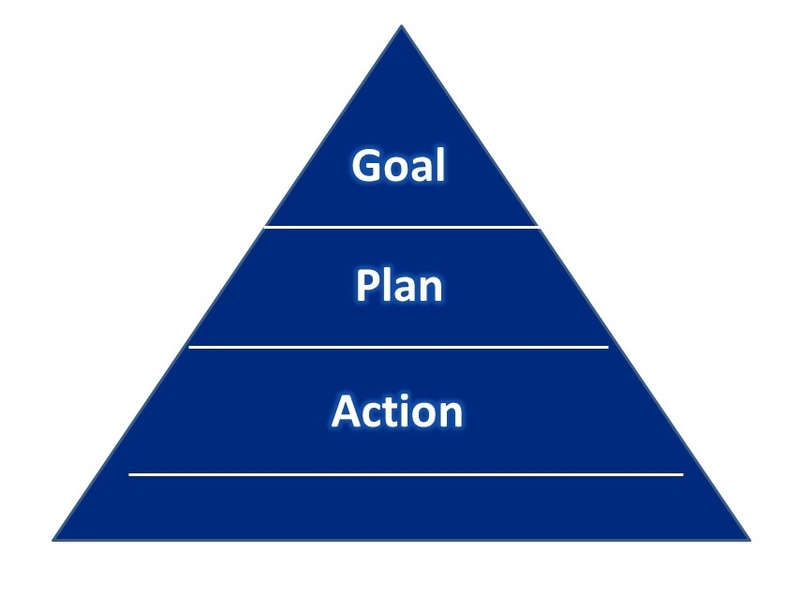 Having a purpose and a plan seems to be almost automatic when we are training for an athletic event. Likewise, we need to act with purpose in all of the important aspects of our lives. When we act with purpose professionally, physically, socially, and spiritually we are able to achieve satisfaction and fulfillment in all of those areas. Consciously and intentionally choosing our action steps in the areas that are important to us allows us to pursue our lives purposely rather than randomly. 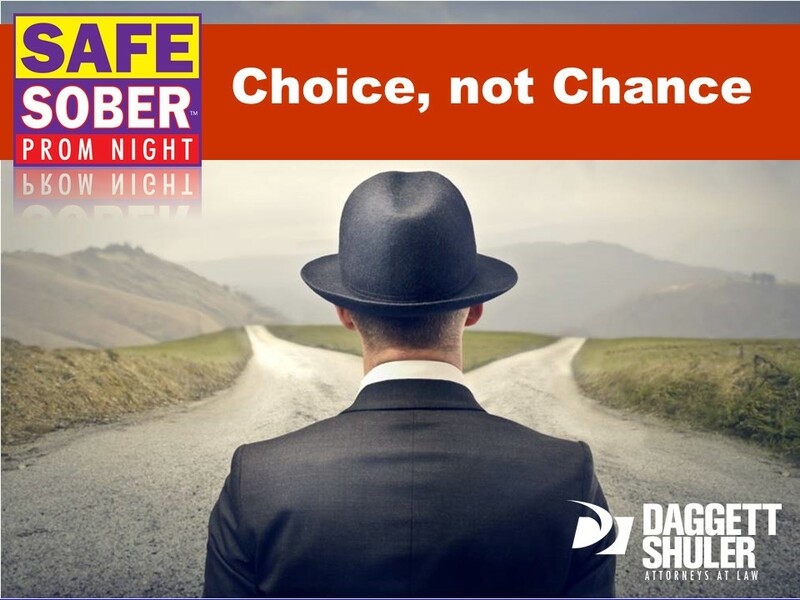 We therefore are able to live fully and productively by choice rather than by random chance. Did we accomplish all that we wanted to accomplish last year? We can use the lessons of the past as we look forward. Let’s purposely and intentionally set a course for 2015. The reward for our efforts will be purposeful accomplishments and intended results. Nutrition is perhaps triathlon’s fourth discipline. 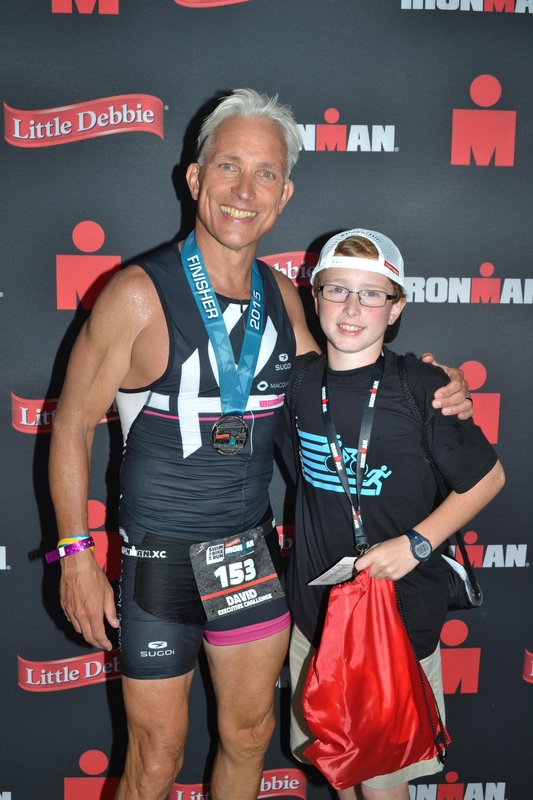 We have previously discussed general, life nutrition in Ironman Nutrition and touched on race nutrition in Ironman Blueprint Recently I have had several inquiries regarding race day nutrition so that will be the focus of this article. Race day nutrition certainly is not “one-size-fits-all all” so it must be practiced and rehearsed many times so that it can be executed with precision on race day. Perhaps this is the most important lesson – practice, practice, practice; then execute, execute, execute. I can’t believe all of the horror stories I hear regarding race day nutrition. I ask, “Didn’t you have a plan?” Then comes the excuses – “I didn’t feel hungry,” “I was thirstier than I thought,” “I don’t know why I drank (ate) twice as much as I ever did in training,” etc. What were you thinking!? Remember, practice and then execute. It isn’t that complicated. Just figure out a plan and then practice and execute. So, before every long workout and every race (short, long, just running, anything) I practice the exact same pre-race nutrition. Certainly you can experiment and tweak until you find what is optimal for you. There are internet articles and opinions galore – Be careful! Some are good, and some are not. However, if you properly practice and rehearse you should be able to figure this out following basic principles. My personal belief is that you, or someone my size (170 lbs) should take in somewhere between 800 and 1000 cal approximately three hours pre-race. I stick to mostly carbohydrates but do include a bar with a bit higher protein percentage. By the way, I do this when I get up to go to the bathroom, and then go back to bed for a quick nap before it is time to get up to go to the race. I then sip on one quart of Gatorade/sports drink finishing up 45 minutes pre-race (that gives time for the excess fluids to pass through). 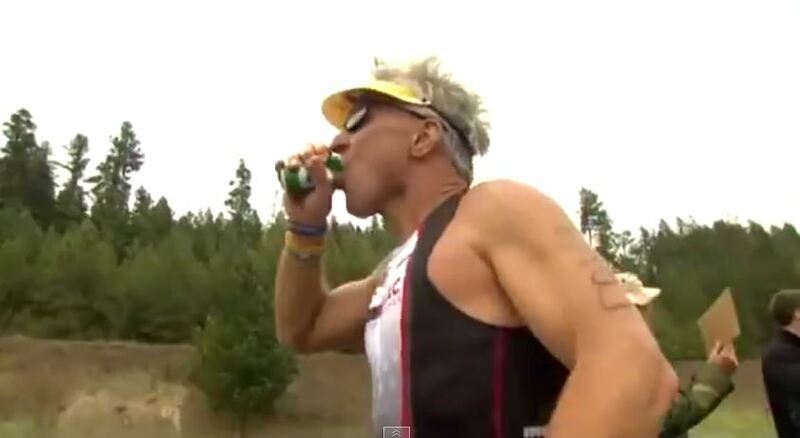 I then take one gel, or two gels for long races, approximately 10 minutes before the race start with a shot of water. This protocol is easy to practice in training and before any race/event of any type. During the event itself, I always tend to believe that the simpler, the better. So, I do a bit of reconnaissance to learn what will be served on the course and then order those products to train on in the months leading up to the target race of the year. That way I can “live off the course” and don’t need to worry about special needs bags or other logistical issues regarding nutrition. Remember that the ability to process calories goes down as intensity goes up. So, this must be _________ . . . you got it, PRACTICED! For a full Ironman I typically take 300 to 350 cal per hour on the bike. In a half Ironman I go harder and bring the calorie intake down to about 200 to 225 cal per hour. On events over 90 minutes or so in duration fluid replacement becomes vital. I know I can process one liter of fluids per hour. This will vary bit based on conditions and temperature. Further, you may need to adjust these numbers up or down based on your size, intensity, and what you learn by experiment. During performance liquid calories or gels tend to be simpler, easier, and sit better. That being said, I usually eat half a bar or so during the last hour on the bike just to give my stomach a little “ballast” going into the run. 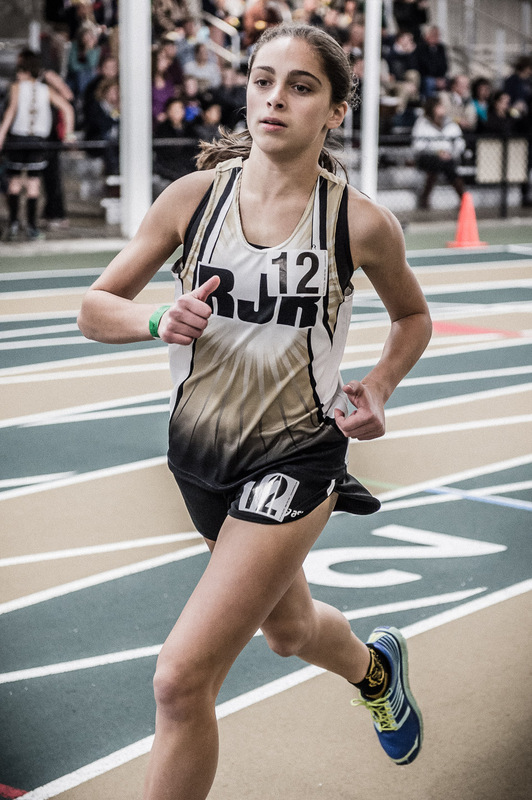 Again, all of this is very well practiced and rehearsed at race intensity during training so that I am able to execute with confidence on race day. On the run I mostly switch to only fluids. I am a big fan of cola on the run and usually grab a sports drink and cola at each aid station, and sometimes a water too. Keep rough track of calories and volume. Particularly with aid stations each mile it can be easy to overdo it. Practice it in advance and you’ll be prepared for a successful day. Let’s get this straight right out front – it was “a tough day at the office.” We can analyze the reasons later if you like. However, even on a very tough day the privilege of racing this iconic event and the thrills of the day were not dampened. The Climb at Solar Berg! My memories and photographs do not do this race justice. It truly has to be experienced. Climbing Solar Berg truly engages all five senses and is beyond my ability to describe in words. There are many photos available online. The photo above is taken by family during the day. Believe it or not I am biking up through that mass. 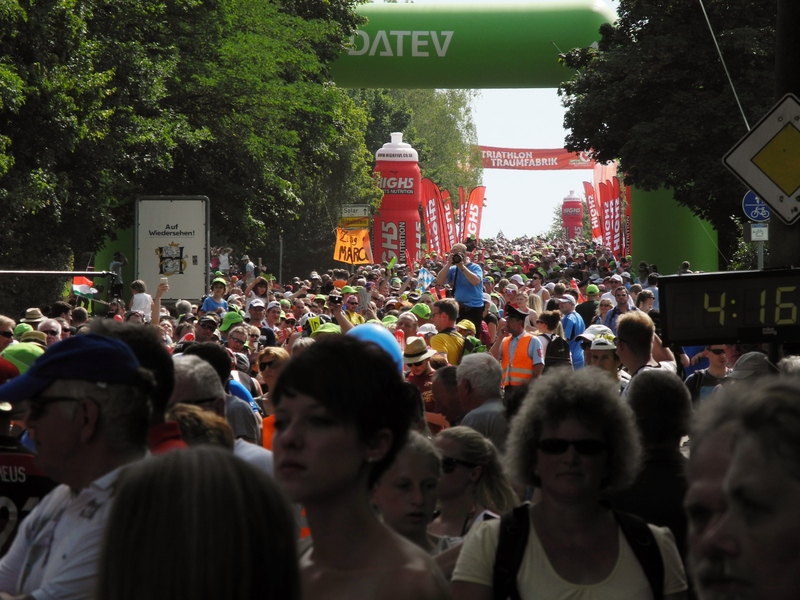 Challenge Roth has become the biggest and one of the most iconic races in the world for good reason – the massive spectators, the volunteer support, the community support, and the setting in the Franconian Hills of Bavaria make it something very special. 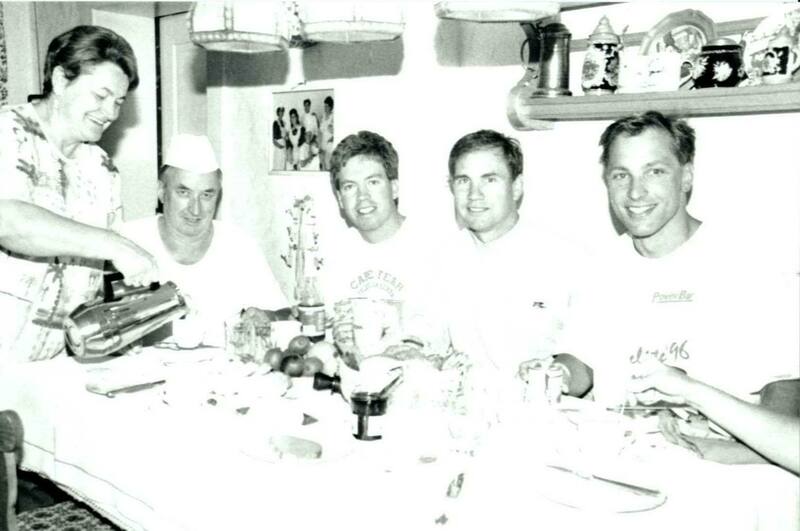 The race is under the direction of the Walchshoefer family. Felix Walchshoefer in particular puts a stamp of personal hospitality, emotion, and family like support that is unmatched in the triathlon world. He is an extraordinary personality with unmatched passion. He makes all of the competitors, volunteers, and spectators feel individually special. The best race in the world? I think that perhaps it is. The reality is it simply can’t be described, it must be experienced. The experience is magic and well worth the Challenge. “It’s time to get up! You have to get going,” she implored. “Don’t you know this is the biggest race in the whole world! ?” That was 16 year old Birgit Reinel in 1989, daughter of my home-stay hosts Lotte and Dieter Reinel who owned the local bakery in town. Tucked in the Franconian Hills of northern Bavaria is the village of Roth. It is a normally quiet little village with a history dating back over a thousand years. In the center of town is a castle that is more than 500 years old and a prominent cathedral. Once a year the town comes alive as the main stage in the world for long course triathlon racing. The iconic Challenge Roth celebrates its 30th anniversary this year. Returning to race in Roth for their 30th edition of the race, the 25th anniversary of my first time racing there, and my sixth time as a competitor has me psyched for the challenge! To say it is the most amazing experience in the triathlon world may be an understatement. The crowds are enormous and the spectators are fantastic. Then, just when you think it can’t get any better you round a corner in the town of Hilpoltstein and are greeted by an ocean of spectators. Solar Berg – it is truly beyond description unless you have been there and felt the energy. 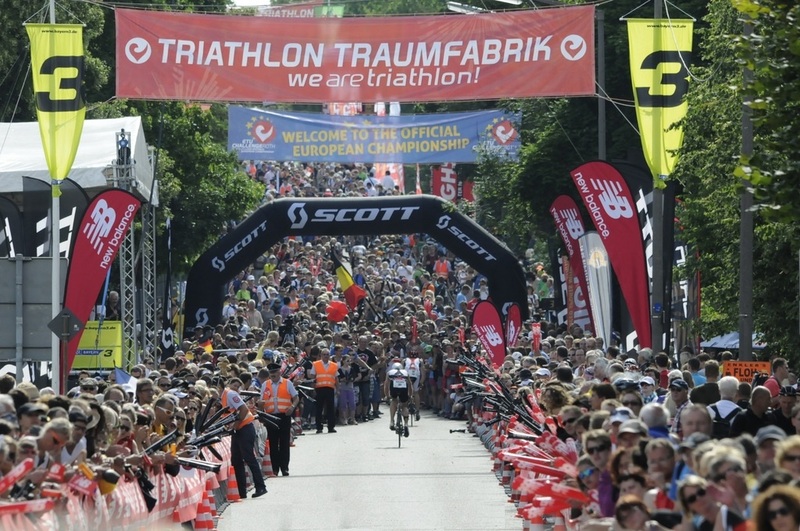 The magical and enchanting course ends in a specially built triathlon stadium filled to capacity and giving each competitor a championship reception. Last time I was there, in 2000, I carried our then 4‑month-old daughter across the finish line. The family Reinel is hosting the whole family this year. This time, all three kids will experience the magic of the Challenge! Please do me a favor – handle yourself with class. As parents, business leaders, athletes, and church members we are examples to others around us and those in our communities. Accordingly, we have an obligation to be positive role models. 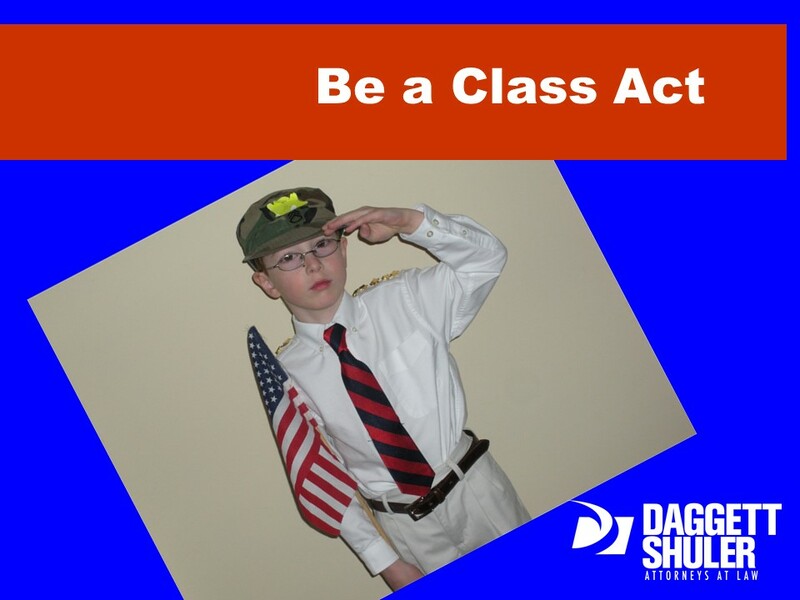 Perhaps the best place to start with being a role model is handling ourselves with class. Don’t you get tired of the lack of common courtesy that we see all around us? Just turn on the TV and look at the news channels. They don’t have discussions, they holler and they talk over each other. Many times the conduct of our politicians is absolutely disgusting, yet we continue to reelect them. We can do better, and it starts with each of us individually. Respect and dignity are foundational principles that will help make the world a better place. Certainly it is the right thing to do, and it is also contagious for others around us. Just like in athletics we can create positive momentum and it spreads. It seems that for some reason my generation screwed it up. Accordingly, the obligation is on us to fix it and it starts with each of us individually. Just looking good, standing straight, shaking hands, saying “yes sir/ma’am,” and those sorts of things are impressive. We need to teach it and we need to lead it. The bonus is, and studies have shown, handling yourself with class ultimately leads to more success. People that handle themselves with class have an easier road. Let’s rebuild that road for the future. Perhaps it’s a bit altruistic, but I truly believe that if we spread our actions in a positive manner we can have a positive impact on our corner of the world that ensures the quality of our communities for the future.